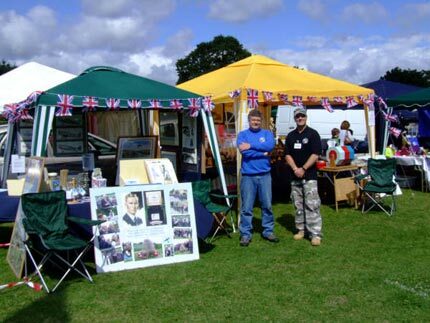 Over the weekend of 19th/20th July 2008, the Museum spread its wings and participated in the Dartford Show to help raise awareness of the work the Museum does to remember and honour the exploits of air combatants over Kent during the Second World War. Museum volunteers manned a stall crammed with various exhibits and relics along with display boards giving information about the Museum and the Pilot Memorials Project. 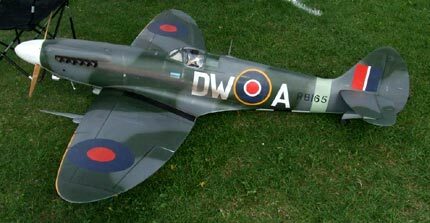 An impressive large 1/4 scale radio-controlled Spitfire model was kindly loaned by TJD Models [Sutton-at-Hone] for the stall that proved a great conversation piece with visitors, who also showed much interest in the varied range of displays. Visitors also tried their luck at the Museum tombola that offered many tempting prize goodies, which by the end of Saturday had all been snapped up. The tombola and generous coin donations raised a good sum of money that will go towards the pilot memorials fund-raising pot. The efforts of the volunteer staff was rewarded when the Mayoress chose the stall to receive 1st Prize in the ‘Best in Show’ competition for its range of displays and the Memorials Project, and presented a shield that is to be engraved with the name of the Museum. Participation in local events is proving a very worthwhile exercise for the Museum, not least to highlight the good and interesting work it carries out and to encourage people to visit the ‘best kept secret in the Darent Valley’! 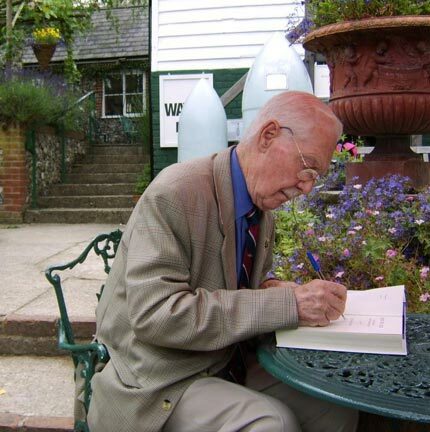 The Museum was delighted to welcome a wonderful guest on Sunday 29th June 2008. Flight Lieutenant Jack Belsey was a pilot with RAF Bomber Command during the Second World War whose experiences were many and varied. In training during 1940, he found himself receiving instruction in dive-bombing whilst flying Airspeed Oxford trainer aircraft as a contingency should Germany have invaded England. His first operational tour was flying Vickers Wellington bombers with 115 Squadron and he had much to thank Sir Barnes Wallis and his geodetic construction in the design of the ‘Wimpey’ for standing up to flak damage. After a period as an instructor Jack returned to operational flying with No.7 Squadron and the mighty 4-engined Short Stirling. He liked certain qualities of the Stirling despite its poor operational ceiling and a tendency for electrical failure, which necessitated winding down the big and heavy undercarriage by hand. No.7 Squadron became a Pathfinder unit in late 1942 and the following year converted to the magnificent Avro Lancaster. One of Jack’s more memorable experiences in addition to a bale out in 1943, occurred over Hamburg one night when he had to take extreme evasive manoeuvres upon being ‘coned’ by enemy searchlights. The artificial horizon instrument ‘toppled’ over and suddenly Jack and his crew found themselves inverted and entering into a dive. It took the combined efforts of Jack and his Flight Engineer pulling on the control yoke to right their bomber and bring it out of its terrifying dive. 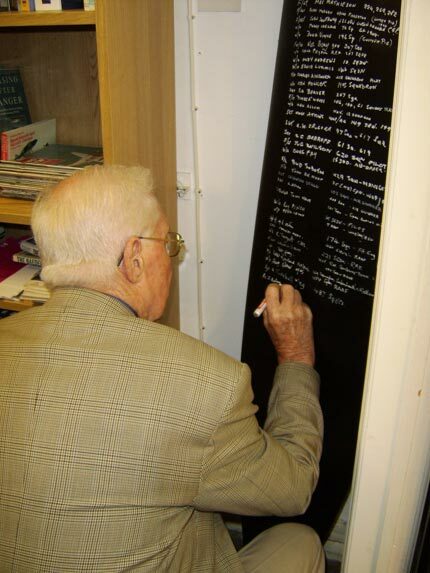 Jack shared many other amazing tales of his experiences, and he proved himself a great survivor when one considers the huge sacrifice of over 55,000 members who served with Bomber Command during the Second World War. We are grateful for his brave service and the Museum was very proud to have Jack sign the ‘Bomber Boys’ propeller blade. You are currently browsing the Shoreham Aircraft Museum – News archives for July, 2008.